The Cap Kart rebuild has begun in earnest, so I'll try to post semi-frequent updates on the progress. It's a summer-long project, hopefully culminating in some new test drive video and data by August. The static website will eventually be updated as well. 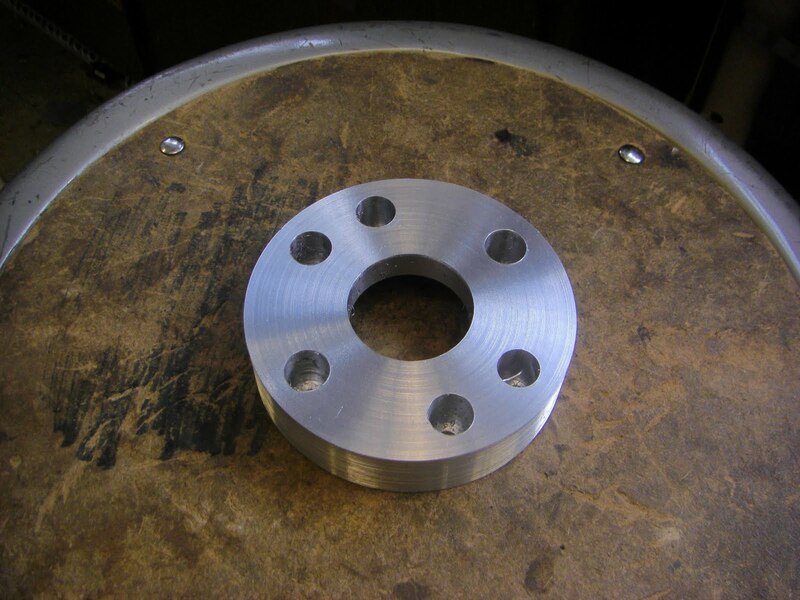 ...for a group that's used to designing aluminum parts to be cut on an abrasive waterjet and carefully assembled. But rest assured we can bring some of our skills to bear on the project. Namely, making it look good. Photo-render courtesy of DiffMaster Max H.
Now might be a good time to explain how it works. 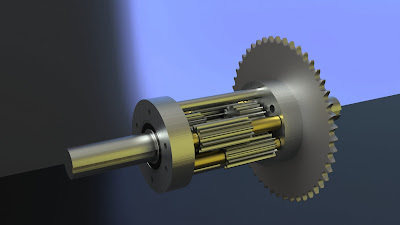 Like a more conventional bevel gear differential, the axial differential allows a single input (the chain drive) to supply torque to both rear wheels, while still allowing them to rotate at different speeds. This is most obviously necessary when turning, since the outside wheels must travel faster than the inside wheels. An "open" differential like this follows a simple rule: the torque on each wheel must be the same. 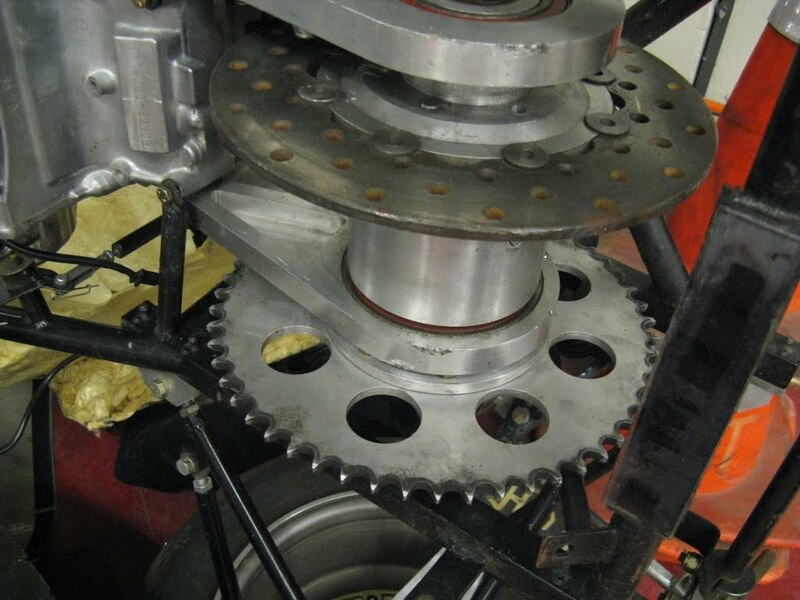 Formula SAE cars often use a chain-drive differential (though probably not axial) on the rear axle. In fact I'm sitting right next to one so why don't I take a picture? It's inside that aluminum can. It's not obvious from the picture, but the brake disk and sprocket are both fixed with respect to the differential case. 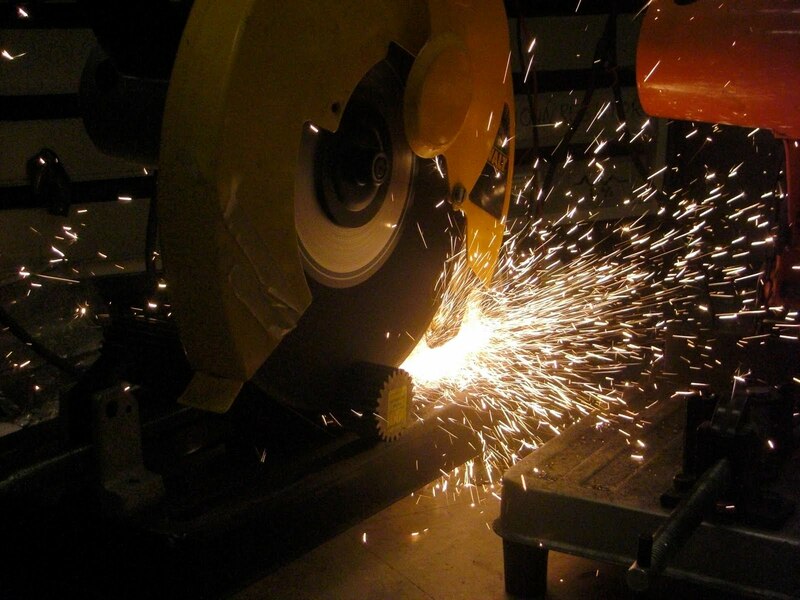 This way, braking torque is applied at the input and split to the rear wheels in the same manner as accelerating torque. 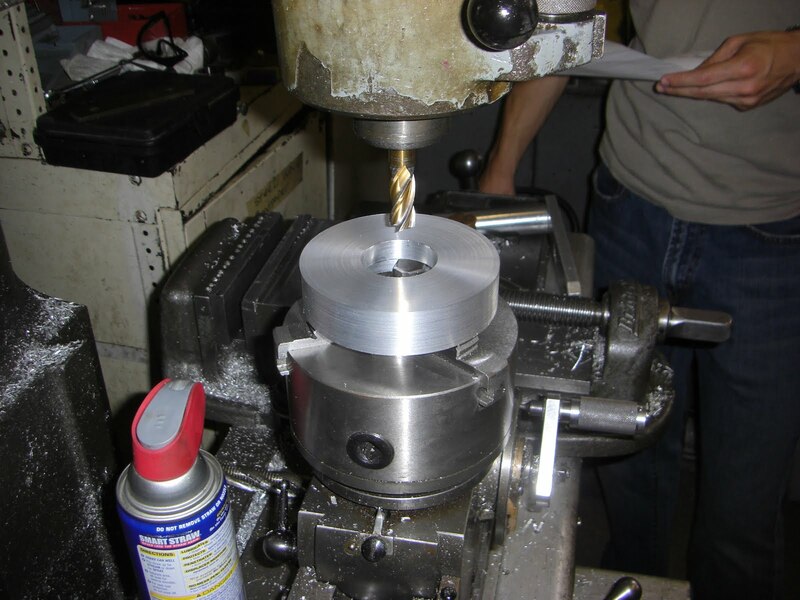 We'll be pursuing a similar design in ours, mounting the brake disk to the hub opposite the new sprocket. Gear stock is cut to length, then bored out. 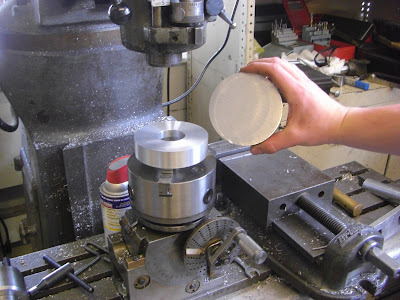 Hubs are formed out of aluminum disks. Ready to add holes for the gear posts. 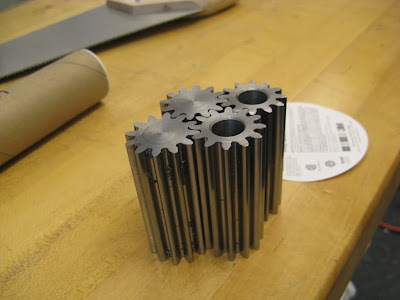 And the gears actually do mesh...so far. If you're looking at this schematic and thinking "WTF?" then you're in good company. It took us some time and some trial-and-error to settle on this particular method of using the Maxwell ultracapacitor module, and even longer to recognize that it actually does have some significant advantages over other methods. 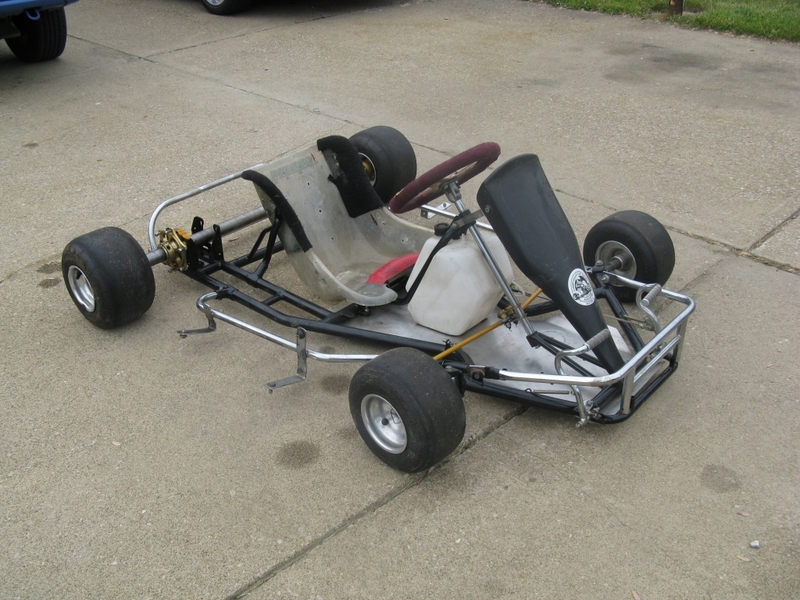 All that is part of Cap Kart v1 development history, though, so I won't focus on it here. If you stare at the circuit for long enough, it might make sense. The only change is that where there was a contactor and diode before, there is now a second high-power half-bridge. This bridge will only be used to turn the capacitor boost on and off, but in theory it could also be PWMed to modulate how much capacitor assist to use. That's too fancy for us, though. The purpose of this upgrade is mainly to take out one extra diode drop from the circuit. I have some trouble wrapping my head around exactly how regenerative braking works. 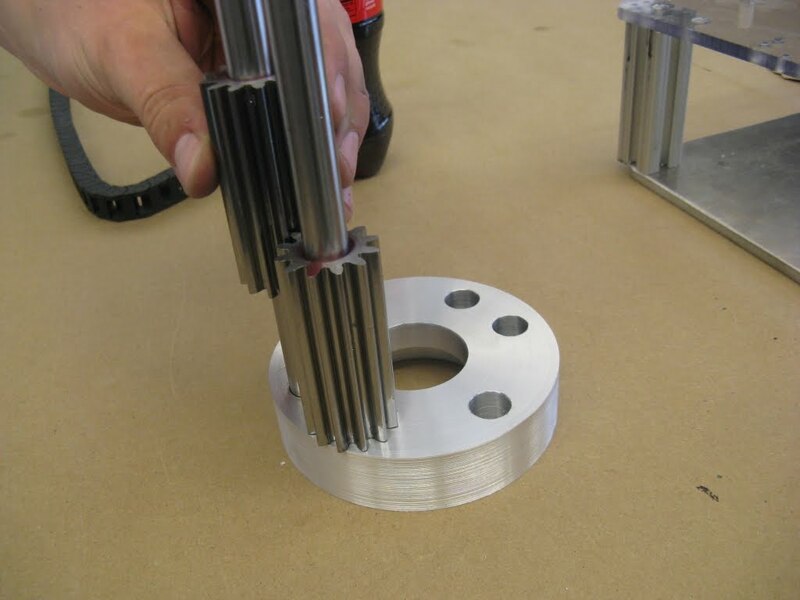 What exactly is going on in the motor and controller when you try to apply a torque opposing the direction of rotation? What does the battery or the MOSFETs think about that? 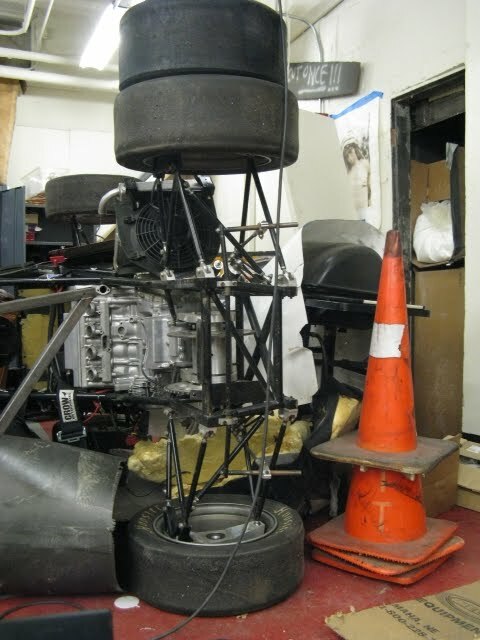 I think the CapKart circuit is a little too specialized to help my understanding. Could you put pen to paper on what the hardware and software changes would be to get four quadrant control out of something like your 3ph Duo controller? The motor acts as a generator whenever you apply a voltage to it that is lower than its back EMF. I think of it as "pulling current out." In order to do so, though, the high and low MOSFETs must be used. This is called synchronous rectification, or, if done on an H-bridge, four quadrant control.